Take A Look At The Feedback! It's heavy-duty and not too heavy to carry. This model designed for sand, underwater and beach surface searches. This sand scoop has additional stiffering rib and strengthened mount. 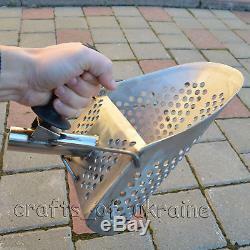 Comes with a short detachable handle but it also can be used with the long handle. 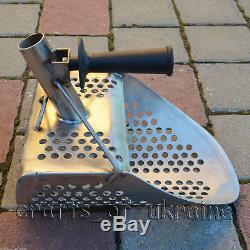 See also our other sand scoops - just follow this link! AISI-304 stainless steel 2.0mm. 9mm = 0.35 (round). 1.5 kg = 3.3 lbs. See also our other sand scoops. Direct Sale from the Manufacturers Themselves! This beach sand scoop is lightweight and comfortable for hours of use! Made of anti-corrosion non-magnetic 2mm AISI-304 stainless steel. 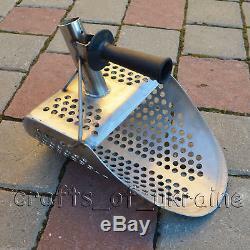 Round holes are made by the method of hand-drilling which allows sediment to be easily sifted. The back wall is made a stingy angle that provides convenience to stop foot and reduces the load on the hands. 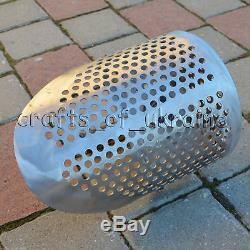 We also can offer high-quality beach sand scoops with hexahedron holes in different sizes. 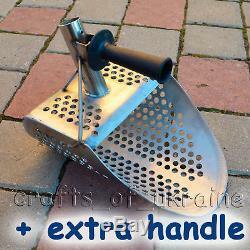 We have UNIQUE small hex scoop, large hex scoop and hex scoop with UNIQUE long lightweight 45 handle! Besides, our beach scoops with extra handles are the most popular because these sand scoops are universal one's: they can be used with a short or long handle (short handle can be easily screwed out) on your choice and depending your needs. We have thousands of satisfied customers. Our team tries to do all our best to satisfy all demands of our clients! Hope you will be pleased to do business with us. We are always open to any cooperation! We seek to answer all messages as soon as it possible but, please note, the time difference with Ukraine is about 7-10 hours, that's why some answers may be received only next day. We will carefully pack your order and dispatch it in the shortest time possible. If for some reason there is a delay, we will provide you with the details as soon as possible. This number is generally accepted by global postal services. Europe - 2-3 weeks (via local regular postal services). Australia - 4-5 weeks (via Australia Post). Other countries - 4-5 weeks (via local regular postal services). 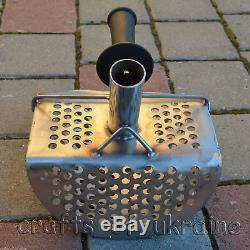 My name is Alex; I'm from the Ukraine - a beautiful country famous for its folk masters. 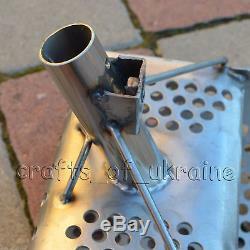 Working solely to design and sell the best goods being produced in the Ukraine. Most of the store items have been produced or designed by my team. The other items are unique and. Hand-picked, arriving directly from the crafters themselves. This way we can guarantee both. High quality and low prices. My team and I do our my best to satisfy the needs of our clients! We look forward to doing business with you and we're always open to cooperation. Please feel free to contact me with any questions. Receiving your 5-star feedback is crucial to our business. We guarantee that we will solve whatever issue you have and provide you with the best, possible solution. We offer only the best quality products for reasonable prices. Longtime cooperation is our goal. We are sending all items as fast as it's possible. Be sure your order will be delivered in time! We guarantee your complete satisfaction with all our products. To prove it, we are offering 60-days return time for each our client. We have hundreds of satisfied clients from many different countries. Every customer is very important for us. Your satisfaction is our main goal! Handmade from anti-corrosion non-magnetic 2mm AISI-304 stainless steel. The item "Top-Quality Beach Sand Scoop Metal Detecting 2mm Stainless Steel + Short Handle" is in sale since Monday, July 2, 2018. This item is in the category "Industrial\Test, Measurement & Inspection\Test Meters & Detectors\Metal Detector Accessories". 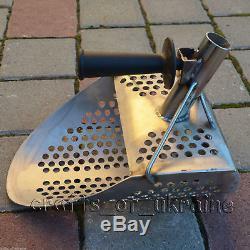 The seller is "crafts_of_ukraine" and is located in Europe.